Sippy	has had 11 events featured on GiggedIn in the past. We totally froth over this artist and will have them again soon. Sippy is a Sydney based Bass Music Machine, intellectual, and polymath. Anyone that's spent time on the Australian Bass Music circuit knows the name; Sippy has built her career blasting her signature gut-rattling seizure-inducing sounds through the sound systems of her country's famous clubs and festivals. 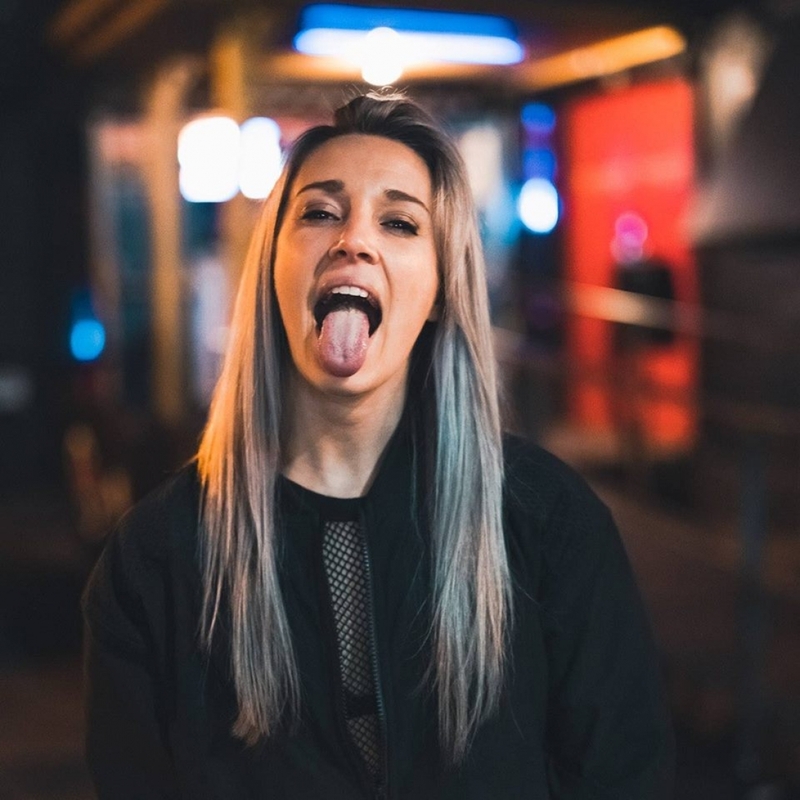 Owner, proprietor, and instructor of 3 DJ and production schools across Australia and a recent graduate herself of the famous ICON Collective Music Production School in Los Angeles, California, Sippy prides herself on bringing much needed courage and realism to the scene. As a result, her name is synonymous with a fearlessly filthy, heavy, extremely creative and precise bass-forward sound. She counts the world's biggest Bass and EDM producers among her most avid and vocal supporters, including Doctor Werewolf, Datsik and Bear Grillz. Sippy exemplifies a new kind of Bass Music phenom. She began playing piano seriously at 8, drums at 14, and taught herself guitar at 15. By the time she graduated from High School, she was composing music for 25 piece ensembles. After earning a Bachelor of Applied Science Degree in Exercise and Sports Science from Australia's most prestigious University, she became a certified personal trainer, and currently plays Premier League Touch Football. Despite her hyper-potential personality and diverse upbringing, it was music that pulled her the hardest—and the only way to describe her recent rise through the ranks is meteoric. She's locked down collaborations with Bear Grillz and Doctor Werewolf, and has an insane remix of Slumberjack's 'Ra" every DJ needs in their set list. With a massive EP on the way, her place among the world's elite neckbreakers is all but certain. The Wall ft. SIPPY, Emma Bass + MORE!